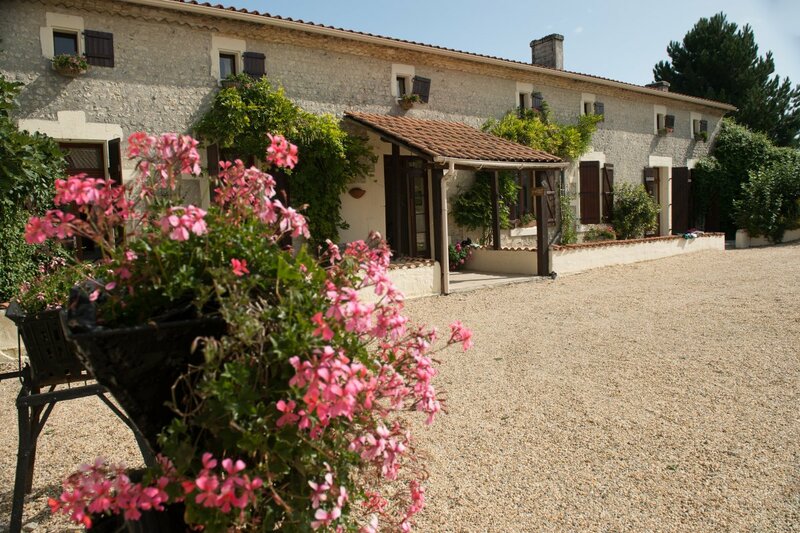 Chez les Rois, Berneuil, Charente, South West France, sleeps 2-22 in 11 bedrooms. 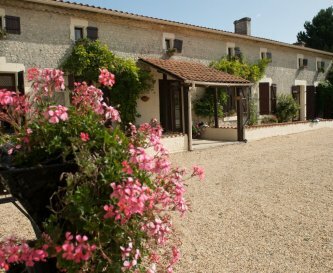 The 'Home of the Kings' or Chez les Rois is a splendid courtyard of traditional beautifully renovated farm buildings dating back to 1842. 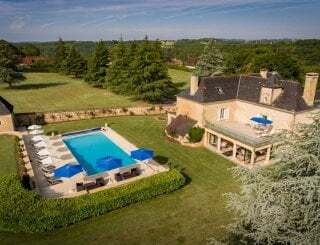 Set in 5 acres of grounds, imagine sipping your morning coffee or lounging next to one of the 2 (yes 2) pools, surrounded by views of vines, maize and sunflower fields. Absolute perfection. 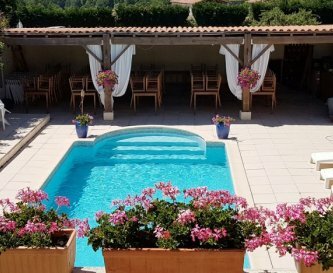 Chez les Rois offers exceptionally spacious accommodation for up to 3 or 4 families wanting to enjoy a holiday together in this idyllic location. 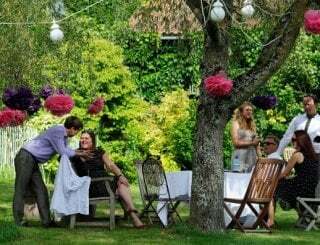 Fantastic at any time of year, why not come for a special anniversary or even celebrate Christmas and New Year? 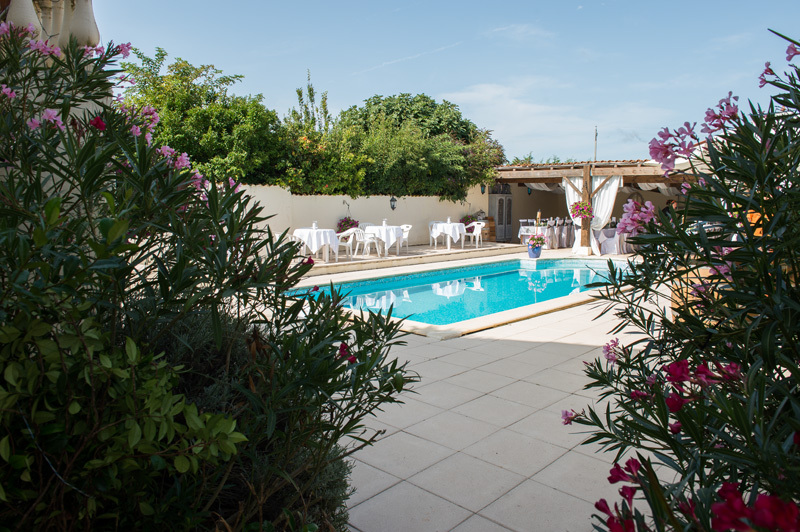 A wonderful place to get married, the owner of Chez les Rois is more than delighted to help you organise the wedding of your dreams for 80+ guests in a marquee, something more intimate overlooking the pool or in Le Chais. 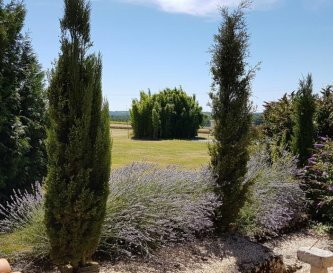 Guests can enjoy the fabulous large space, Le Chais, at the rear of the farmhouse for socialising - there's dining space for 24 and luxurious sumptuous seating next to the log burning stove. 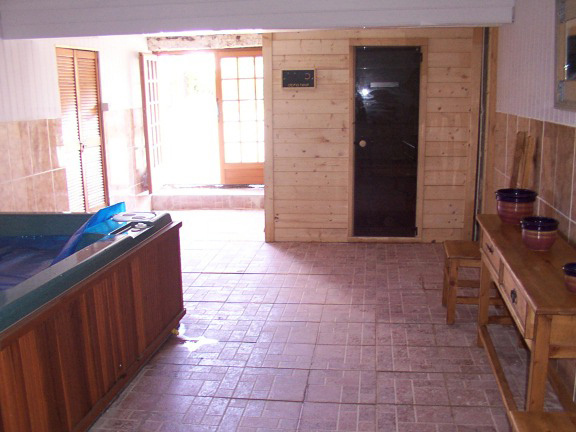 Step from Le Chais through French doors to one of the pools for a cool off, or to relax in the hot tub or sauna. 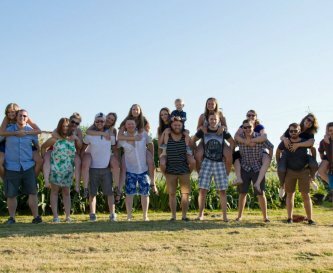 Accommodation is very well set up for multi generational groups with a choice of double or twin rooms and 4 lounge areas. 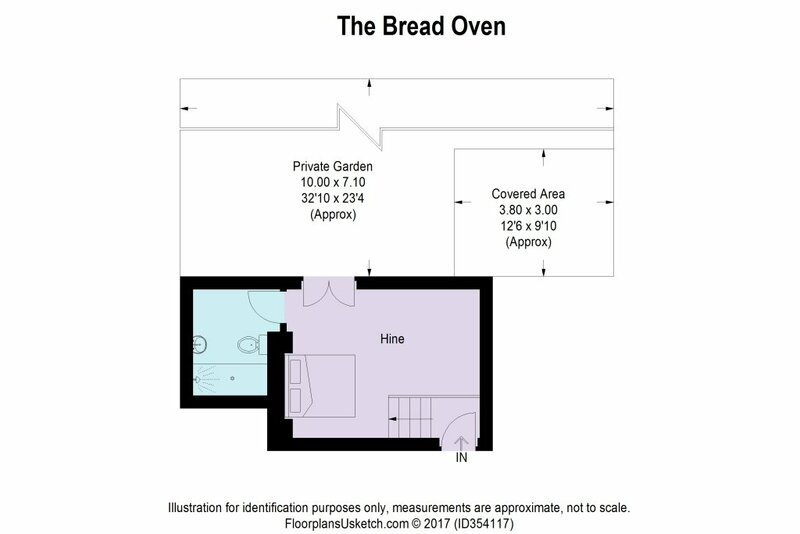 The Bread Oven with its double room and terrace is great for anyone wanting some privacy while enjoying being part of a larger gathering. 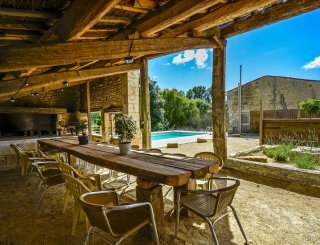 The Farmhouse has an enormous kitchen for 2 or 3 cooks to work together in harmony. 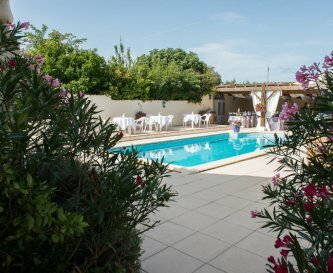 Or why not spoil yourselves and arrange for Gail the owner to cater - she has a reputation as a fantastic chef as well as an expert wedding planner! It's just a 2 minute drive to buy fresh bread and croissants in the quaint village of Berneuil. Other pretty local towns offer great markets and restaurants, or venture out on canoes on the river. 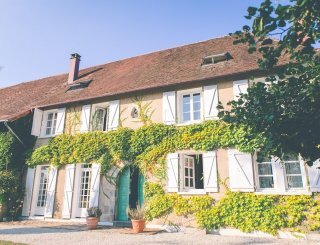 Bordeaux is just 50 minutes away, a lovely city to explore any time of year but especially at Christmas, and of course there's wine tasting all around - St Emilion is a must! 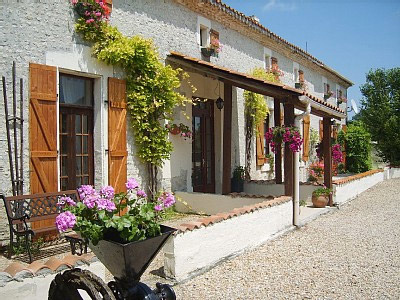 Or visit fabulous Atlantic beaches and Ile de Re. Very large kitchen (36sq m). American fridge freezer, washing machine, dishwasher, extra fridge for drinks, island unit with hob and very large oven. Large dining room for 24. Kitchen dining table for 8. Table in lounge in Farmhouse for 6. Table in lounge in Barn for 6. Outside dining for 24 plus. Four lounge areas with seating for 24 people. Large plasma screen TV with free to view channels. DVD player and music system. Central heating and log fires over the winter period. 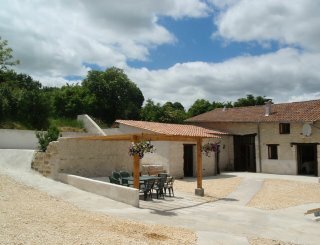 11 bedrooms: 7 doubles, 4 twin bedrooms, the majority having en suite facilities. 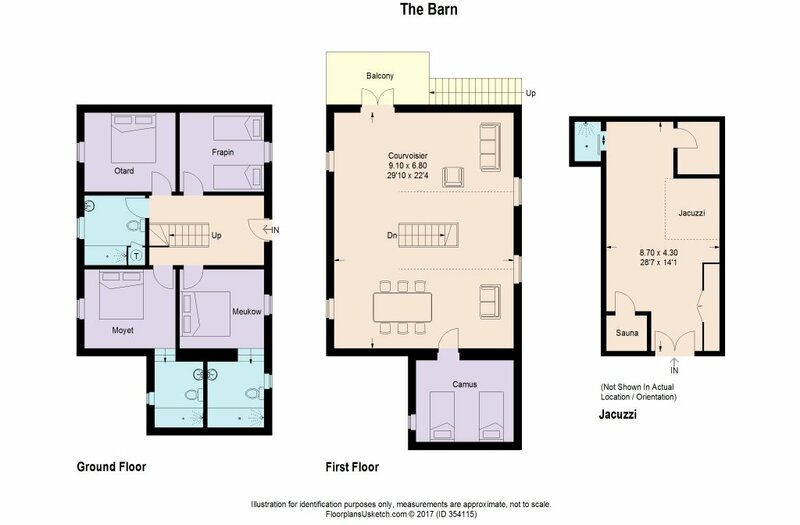 Please see floor plans for more details. All our linen is white and hotel quality. We have white towels for the bathrooms. 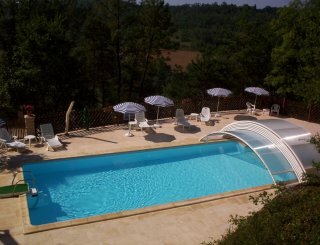 Pool towels supplied for the pools, Jacuzzi and sauna. 9 en suite or nearby bathrooms. 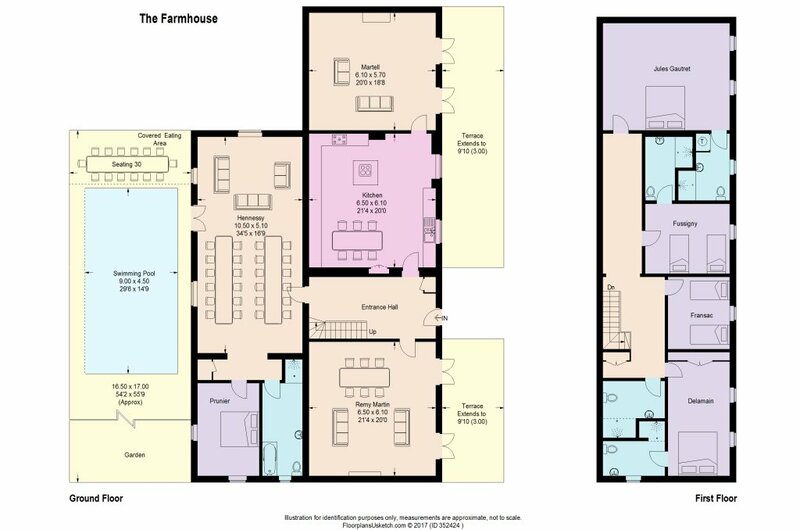 Please see the floor plans. All bathrooms are very modern with walk in Italian showers. Swings and slide, trampoline, volley ball, badminton, table tennis, indoor games and DVDs. Table tennis table, trampoline, swings and slide. 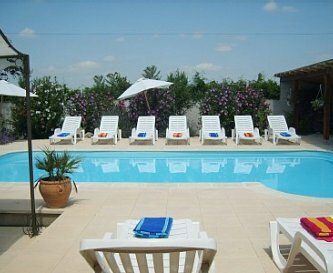 2 pool areas: 1 is exclusively for guest use, the other pool is used by us, the owners, and yourselves. Smoking is allowed outside the property. Please contact the owners directly. 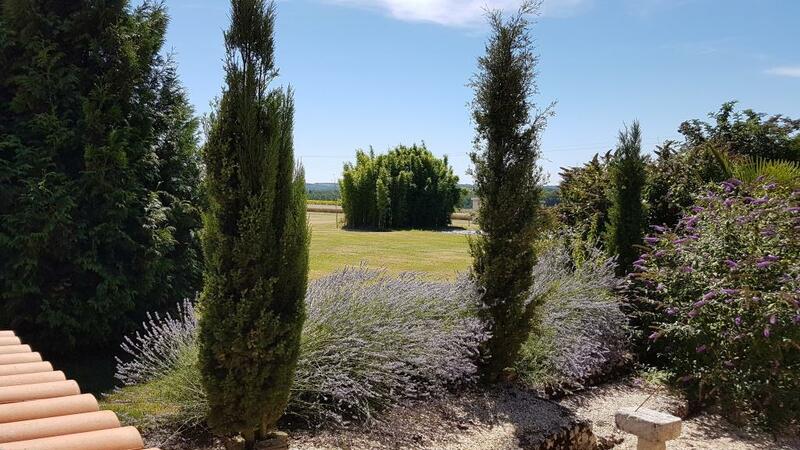 Chez les Rois is situated on the outskirts of Berneuil, 50 minutes away from Bordeaux and slightly further afield are Bergerac, Limoges, La Rochelle, Poitiers. 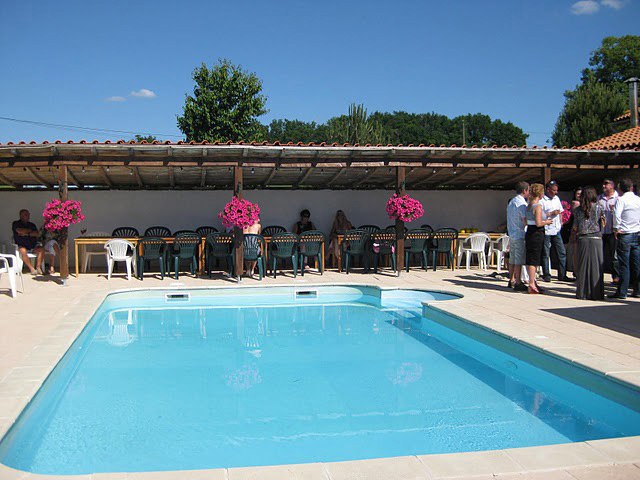 Our nearest town Barbezieux is 10 minutes away for banks, post office, supermarkets, grocers, restaurants. Our nearest shop is at Brossac for grocers, breadshops, restaurants, bank. Brossac also has a lake where you can swim. Over the summer months French groups play on a stage erected on the beach. 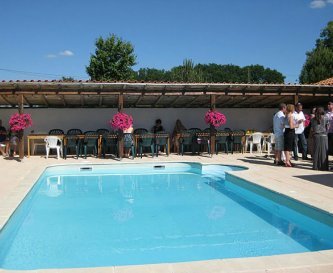 Nearest Bar/Restaurant is in Brossac and called Samto. There is also a club house and a restaurant close to the lake. 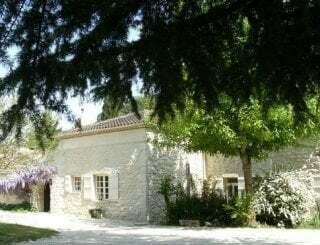 Prices are for exclusive hire of the whole property. 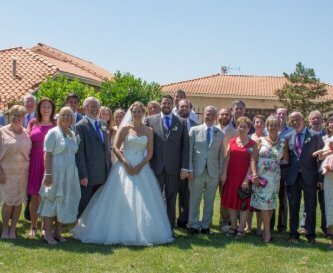 Please enquire for smaller groups. 25% deposit payable at time of booking. 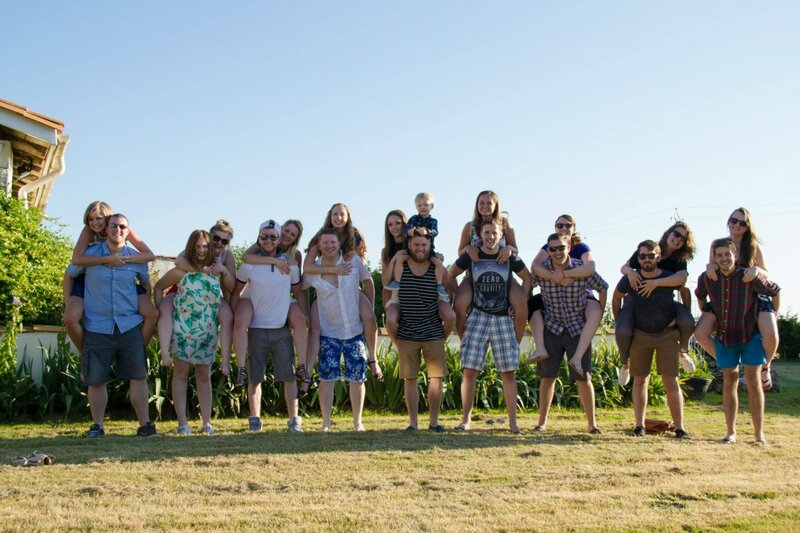 Balance payable 8 weeks before you arrive. Information regarding bank transfers, booking conditions and damage deposit will be sent by email. Nearest train station is 18 km at Chalais. 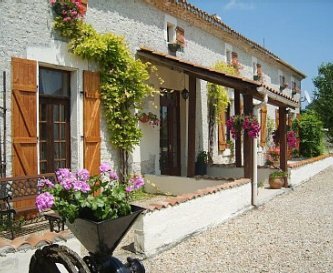 Our nearest bus is located in the village of Berneuil. The bus runs twice a day. 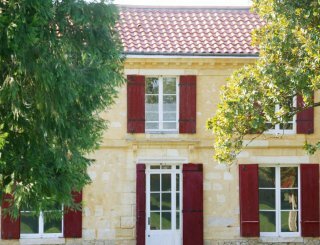 Nearest airport is Bordeaux at 50 minutes.